Thinking of blogging to make some money? I know blogging for profit sounds fascinating, you have a flair for writing, you love blogging, have a way with words, can write on almost anything and everything under the sun, why not turn this habit to churn out some money? I know some bloggers just abhor the idea of turning their blogs in to money making machine. They are perhaps content with expressiong their opinion, sharing knowledge and interacting with like-minded fellas. Personally, I do not mind making money from any opportunity that comes along my way. In fact, I would not want to miss any opportunity that helps me profit, grow better and powerful. 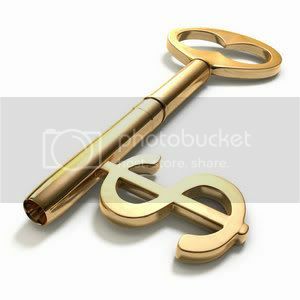 Money is important and imparts you more control on some aspects of your life. Here I’ll try to outline few points on how bloggers can make money or try to profit from blogging. Majority fails for some good reasons and ultimately give up. Many people dream of blogging for profit, and this goal is not far beyond the reach of someone with average intelligence, a willingness to work hard, and a basic grasp of blogging technology. However, very few people manage to reap the profits they want from their blog. Most people who attempt to make money with their blogs do not succeed for two reasons. Often, bloggers have unrealistic expectations of how fast their readership will grow and how much money they will make, and when these expectations are not met the disappointment can crush the desire to continue blogging. The other trap that many bloggers fall into has to do with lack of planning. If you want to turn a profit as a blogger, the key to success is to make a realistic plan and stick with it. For the uninitiated, keep the following in mind. Do not set unrealisted expectations – Success will not come overnight. Unrealistic expecations will bog you down on the contrary. Recognize your motivation – Why are you blogging? What do you hope to achieve? Motivation is important. Motivation is your fuel that will help you keep moving. A unique style of writing – will obviously help. It will keep your readers engaged. Add personality to your expressions – let your humour, your perspective on life, and your values shine in your writing. Be prepared for hardwork and lots of effortNothing comes easy. Blogging is a serious endeavor. It takes a lot of effort to keep a blog running. Remember hard work never goes wasted. Be disciplined and focussed on your long term planreaders will quickly wander away from blogs that are not updated regularly. It is important that you stick to your plan and update your blog regularly. Feed your blog with content more often you can. It’ll really help in the long term. Planning and Perseverance are very important. You have to be persistent. To succeed at blogging for profit, the main thing that you will need is a large readership. The higher your traffic, the more advertisers will agree to pay you. However, cultivating the regular visitors that you will need in order to make a profit isnt easy. As more and more blogs appear each day, having a great idea or a wonderful writing style is no longer enough to get attention. You need to be able to market your blog effectively. Marketing plays an important part. Too many bloggers spend all of their time writing posts and almost no time marketing their project. To be certain, updating as often as you can is a great way to keep your blog high on blogrolls and high in blog search engines like technorati, and once your readers know that you update frequently they will return to your site on a regular basis. However, it does not matter how often you update if nobody is reading your page, so dont skimp on the time that you spend drawing visitors to your site. To make your dreams of blogging for profit a reality, find some time to draw new visitors by setting up link exchanges with other bloggers, making contacts in the blog community, and following other established modes of winning traffic. Pay-Per-Click Ads – Needless to mention, google adsense is still one of the best avenues for bloggers to make money. Products Reviews & Pre-selling – Unbiased Product reviews with carefully inserted affiliate links. The right way to go with affiliate programs. Promoting a ServiceYou can also promote your services like content writing, web designing, programming etc. successfully with blogging. It’ll not only give the service a good exposure, but will also help you interact with your potential customers. Interesting post keeps on posting this type of interesting and informative articles. Thanks Somy, Keep checking and I am sure you won’t be disappointed.